Interested in learning how to save lives? Then you should consider attending a REVIVE! training! 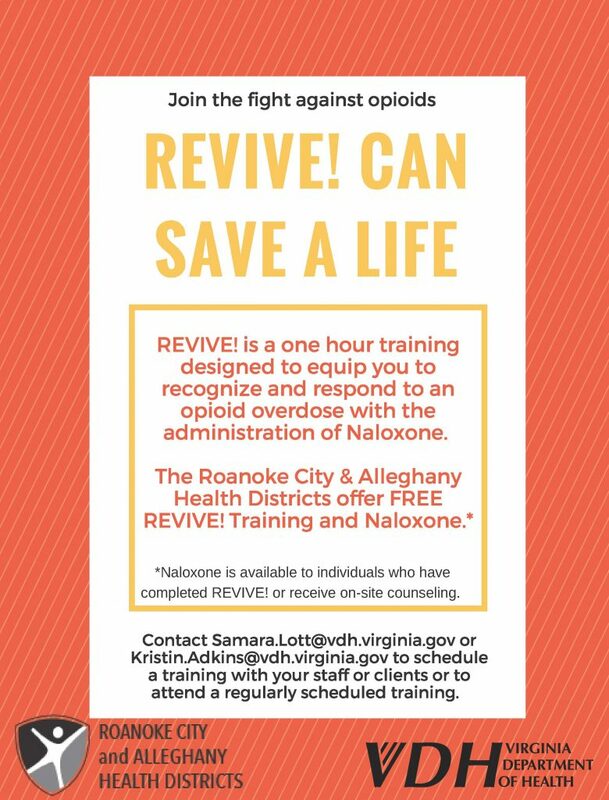 Roanoke City Health District offers REVIVE! on the 3rd Friday of each month. Walk-ins welcome. Call 540-204-9972 or 540-283-5036 for more information. Blue Ridge Behavioral Healthcare offers REVIVE! on the 2nd Wednesday of each month. Click here to learn more and register. 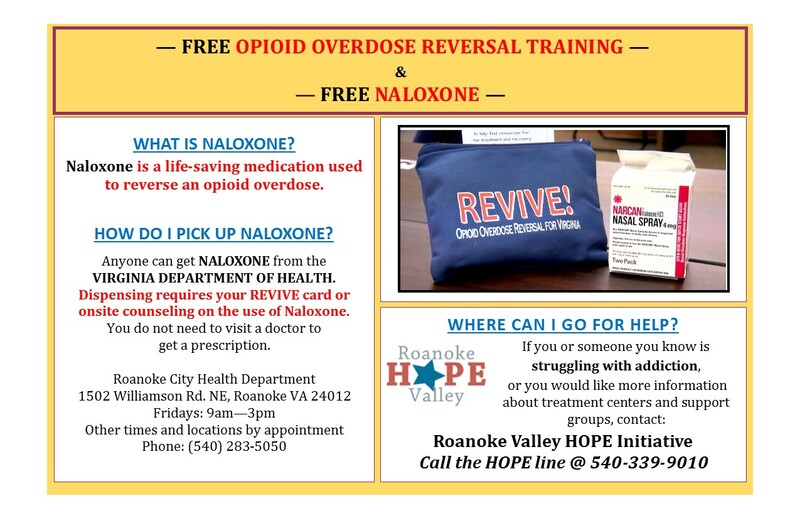 The Roanoke Hope Initiative offers REVIVE! on the 2nd Monday of each month. Click here to contact the HOPE Line. For more information on the REVIVE! program click here.